GTI - the Gas Technology Institute - is "the leading research, development and training organization addressing energy and environmental challenges to enable a secure, abundant, and affordable energy future." 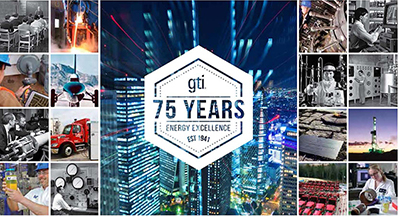 For 75 years, GTI has been providing economic value to the natural gas industry and energy markets by developing technology-based solutions for industry, government, and consumers. For many years NGA and GTI have been engaged in a partnership to facilitate technology transfer between GTI and NGA's member companies. The partnership enables NGA to assist its member companies in integrating advanced natural gas technologies into business strategies - and thereby reducing operating costs and increasing throughput.